One design goal we always try to achieve is that an impact on management components should have a minimal impact on productive workload. One design principle that proved itself worthy to achieve this goal is the separation of management and workload components (and for sure maximum avoidance of single-point-of-failures). The more components you can separate, the more reliable your environment is – dedicated Computing-Cluster (based on vSphere with a dedicated management vCenter), Storage Components and a secondary out-of-band network are a must. 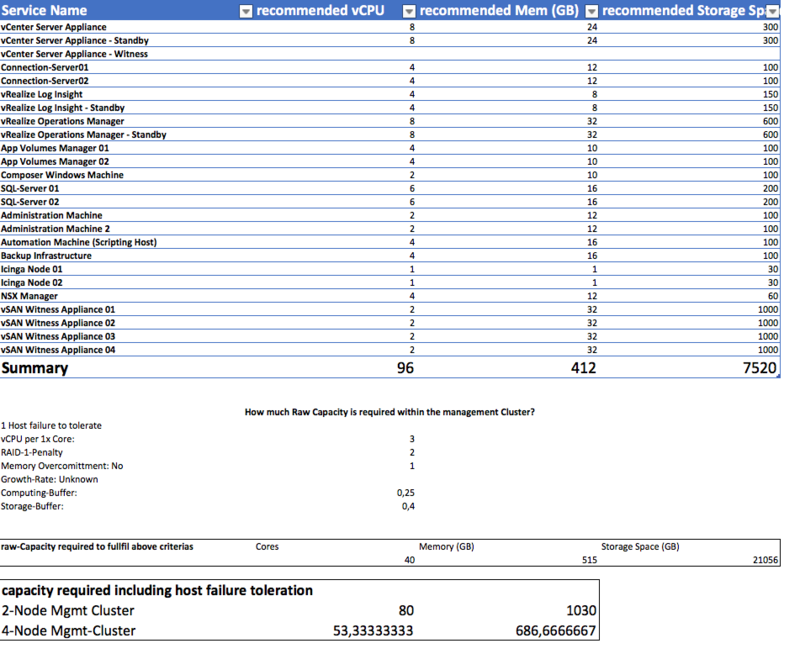 It is important to figure out the required availability factor for your management cluster. In the old days the requirements for the workload cluster were much high as for the management. “If I loose my vCenter, my VMs are still running…so who cares…we can fix that afterwards”. True story, but it must be seen in an overall solution context. Within Cloud-Environments or since the focus of this series is Horizon View you might have a severe issues when your vCenter is not available any more. Having instant clones or relying on App Volumes to deliver the Application into your Desktop might bring you into a situation where users cannot connect or work with their Desktop anymore. Monitoring and (SLA) Reporting components are key components as well. You must place your monitoring instances in different locations, maybe even a third location monitoring key components over a reliable network. You must be informed if something is failing. Another thing I want to talk about is having a dedicated management cluster and its required capacity. Over the years I recognized that is tough to convince customers about the benefits of a seperate (and costly) management cluster. Therefore the management cluster gets mostly undersized. If you don’t plan your project accordingly you will end up with much more components on the management cluster than you have imagined in the beginning. Just let me give you a quick overview about the components that would be required to deliver a <= 4000 Desktop environment (Which is the supported numbers of Desktop for a single vCenter in Horizon 7.2). My recommendation: Create an Excel-Sheet that you can easily extend/edit that gives you a solid output about the required capacity. ## If there is a demand I might paste my excel-sheet from the screenshots here and create a dedicated post on those topics. Depending on the considerations regarding 2- or 4-Node Management Cluster the required Cluster size will change. I included a (Uncertainty) Computing-Buffer of 25%. This value is only useful if you know for 99% how the environment will look like in the end. Minor changes for the customer. 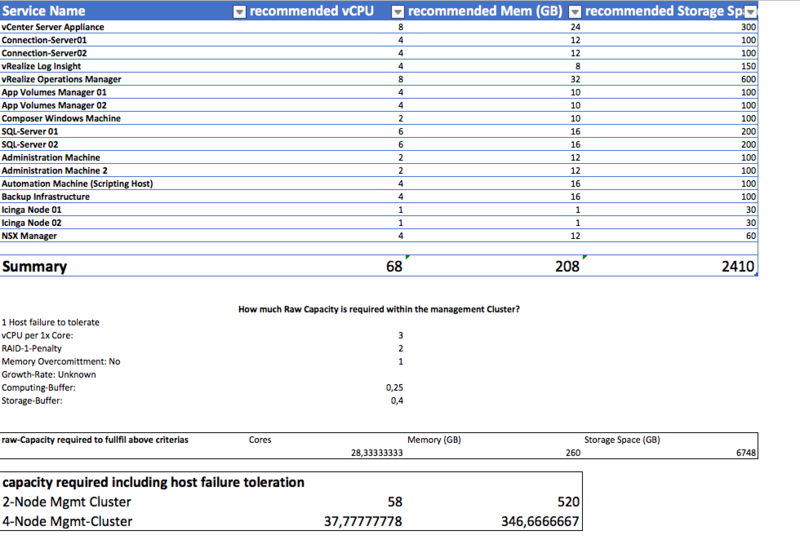 No functional impact on the solution, but suddenly those new availability requirements changed the capacity requirements for our management cluster a lot. Suddenly a 2-Node Cluster with around 20 Cores wouldn’t be suitable anymore (As I said, in real-life we can discuss about this when we would have done a concrete workload assessment – But I hope you get the point). That was just an example about the uncertainties that easily come get true and change everything. Make sure you design a management cluster that is easy scaleable so that you can react to those changes. And trust me… VDI projects are full of stakeholders. Someone will get back to you and will force you to add more services onto it ;-) (Reporting, Security, More Access / Connection Servers). And have I talked about a production identical Test environment to verify changes before going into production? 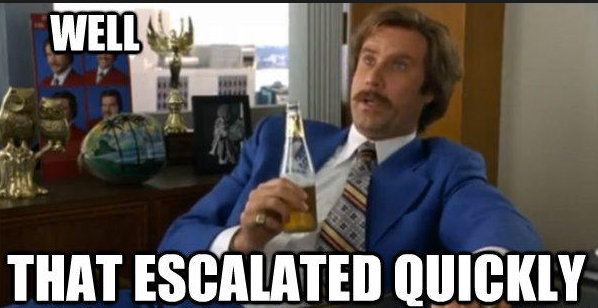 Let me quote Ron Burgundy, a great architect, who has been so right in many many situations of my life. The ESXi host is installed on a physical server and abstracts the physical resources CPU, Memory, Storage, Network (and GPU) into a virtual consumable format: Virtual Machines. Within Horizon multiple Virtual Desktops will run in form as Virtual Machines (including Operating Systems, Agents, etc.) on the physical servers. Version: Depending on the Version different feature are functional/supported or not. I made a good experience in the past to allow Inter-VM via Mem.ShareForceSalting = 0 and disable large page support from within the Guest Os (Mem.AllocGuestLargePage=0). So far I didn’t realized any performance impact, the advantage of disallowing large pages right from the beginning is that transparent page sharing works in very memory state of the ESXi. Therefore you have more predictability about the real memory consumption and can achieve higher VDI densities. Make sure to discuss the risk with the customer. The vCenter is the management component for all datacenter related parts within the Horizon environment. Within the vSphere WebClient you can manage ESXi-Hosts, Disitributed Switches, Virtual Machines, VM Templates, etc. The vCenter should be high available and easy recoverable since it is the central integration point for many Horizon components and might lead to service outage in case of non-availability. HAHAHAHA…. yeahhhh….we have reached a momentum where we don’t discuss about this any more… GO VIRTUAL!!! That’s a tough one. The big question here is – Do you need an enhanced linked mode? What does that mean? You have all vCenter joined to the same SSO-Domain (that is created during the installation). This shared SSO-Domain (by default called vSphere.local) allows you to access all vCenter environments in a single User-Interface via the vSphere Web Client. Remember a vCenter can scale up to 20.000 running VMs within vCenter 6.5, combined with Horizon a vCenter is supported up to 4000 VMs (full-VMs, Instant clones or Linked-Clones) in Horizon 7.2. Now comes the crux: If you want to use the enhanced linked mode you need an distributed installation ( 1 VM running the vCenter Service Appliance and 1 VM hosting the Platform Service Controller that includes SSO-Domain directory service). I am a tech geek :) Go with the latest vCenter Version – which is 6.5 at the moment! Especially the performance of both web clients (html5 & flash) and the scaleability enhancements have been quite a benefit for Horizon environments. Check out some of the key features here. Please make sure that all other ecosystem parts that will interact with the vCenter are compatible with the selected version. If you go with Windows you will need an external Database as soon as your environment scales bigger than 20 ESXi hosts or 200 VMs/VDIs – and trust me: that happens sooner than you might expect. In the Windows scenario the most common database would be an Microsoft SQL Server (If you don’t want to use Oracle). 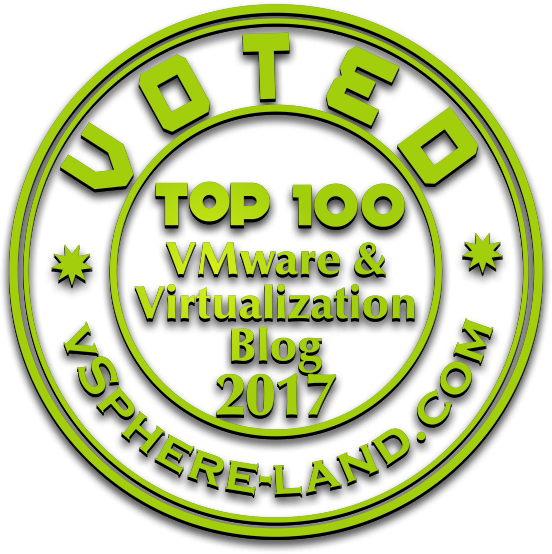 If you decide to use the vCenter Server Appliance, you will go with the embedded database which supports up to 20.000 VMs and 2000 ESXi hosts (Don’t forget the Horizon limit of 4000 Destkops per vCenter). The vCenter Server Appliance HA mode adds some kind of complexity to the solution (during my first try-out I had a lot of problems within my lab environment). But if you are able to manage the complexity a high-available vCenter Server is crucial for your Horizon VDI environment. If you are on Windows. Protect the database and the Windows VM. Use established backup mechanisms to make sure you can recover your vCenter always. Within a Horizon environment you do not really want to migrate existing configurations and pools to a newly created vCenter. That’s no fun at all! Make sure all VMware and non-VMware components are compatible with each other. Check the product interoperability matrix and upgrade sequence within VMware’s Knowledge Base. Size the vCenter accordingly. Use the Appliance and follow the sizing guidelines. DO NOT just make the vCenter high-available by following the wizard and let it go. Play with the feature. Test multiple outage scenarios and figure out how to do some stuff here. Check out Féidhlim O’Leary blog about the vCenter HA mechanism. You will learn a lot about functionality, limitations and operations here. The vSphere Cluster groups multiple ESXi installed server into a single logical unit. The cluster is used to run Virtual Machines (which will become Desktops at one point within the lifecycle) and offers services like Distributed Resource Scheduling – VM placement based on Load and Rules – and High Availability – Restart of Virtual Machines after an ESXi or VM failure. The HA mode makes sure that VMs that were powered off because of a host-failure are restarted automatically on the remaining ESXi hosts. That leads to a minimal impact/downtime, but ensure that the Desktops are coming back within a certain amount of time (3-5 minutes). For sure in certain Desktop scenarios (100 % stateless / non-persistent desktops with only Instant clones) it wouldn’t make that much sense. Another feature of HA might be quite useful. VM protection. If your VMs are not operational any more (no occurring of IOPS and VMware Tools heartbeats) the HA mechanism will detect this failure and reset the VM. That can help to fix automatically failed Desktops that were suffering a blue-screen. Only use resource pools if you active manage the resource entitlement. Never use resource pools for grouping reasons. If you want to group by folder -> Use the VMs & Templates View. Keep it conservative – I don’t want Desktops to vMotion too often. If a user is working on a vMotioned VM there will always be this sluggish handover second for the end-user. He will accept it, but I try to minimize this situation as much as possible. Desktops workload are very short-bursted. The demand for many CPU cycles for a very short amount of time typically (for sure based on the use-case of the worker). There will be a time where new Server will be added to your cluster and you might want to migrate VMs via vMotion from the older Hosts to the newer Hosts. My recommendation to make this switch as smooth as possible. Enanbled the maximum possible CPU compatibility mode right from the beginning before any VM is running on the Cluster. If you want to enable this mode later on, all VMs on the cluster must be powered off. Use an automation level of conservative or conservative + 1. Make sure you have redundancy in your HA-Network. If you are using vSAN, the vSAN Network will be used for HA failure detection. If you are using vSAN, configure the isolation response to power off. The vSAN Cluster functionality offers a scaled out shared storage consisting of local devices over a vSAN network. vSAN eliminates the need for a dedicated SAN / NAS and is included with Horizon Advanced or higher. vSAN is a great product with a huge customer base nowadays. Nevertheless it is a newer technology where a lot of bugs are still fixed with every release. Always go with the latest! Size your Disk-Group properly. Remember: If you have dedup/compression enabled the loss of a single capacity disk will lead to absent Disk Group –> All data objects of this diskgroup will be resynced. Update to vSAN 6.6 to get rid of the multicast network requirement to make your network guys happy. The NSX Manager will be used to integrate security mechanisms into our virtual Desktop environment. After preparation of the ESXi hosts you can make use of Guest introspection services – like existing Anti-Virus/Malware solutions – or micro segmentation – implementation of a dynamic / context-based distributed firewall between Virtual Desktops. Firewall rules will be stored on every single ESXi host, but the rule-set will be managed and controlled by the NSX Manager. If you have multiple vCenter in large environment you can configure cross-vCenter NSX. Specific security policies are therefore applied to multiple vCenter and VMs. Create a dedicated Service User within the SSO-Domain (default: vSphere.local) on the vCenter and assign it to the SSO group Administrators. Use this service account to connect the NSX-Manager with the vCenter. By default service user the used for the registration against the vCenter can interact within the NSX-Manager Section of the vSphere Web Client: Network & Security. If you only want to make use of Guest Introspection Services (e.g for Anti-Malware/Virus) or the distributed firewall you don’t need the NSX-Controller deployed. Check the product interoperability matrix to make sure you have a NSX Version matching the correct vCenter/vSphere and VMware Tools. Can you make the excel sheet available please? Is your excel spreadsheet still available? I would like a copy as well, and I dont have twitter where may I find your email address?